RUTLAND — As water temperatures cool across Vermont, the fishing action is heating up and the Vermont Fish & Wildlife Department has assembled a list of some of the top fall fishing opportunities in all corners of the state to help anglers get started toward a successful fishing trip. From cold water species like trout and salmon, to warm water species such as largemouth and smallmouth bass, northern pike, yellow perch and walleye, Vermont’s array of fish species become more active during the fall as they feed to boost their energy reserves in order to sustain themselves during the winter. In addition to the rise in fish feeding activity, the fall season also means a decrease in angling pressure, less boat traffic on Vermont’s lakes and ponds, and incredible views of Vermont’s renowned foliage. For hot fall fishing action, anglers might consider the following local fishing opportunities, locations and tactics: (For statewide list visit vtfishandwildlife.com). 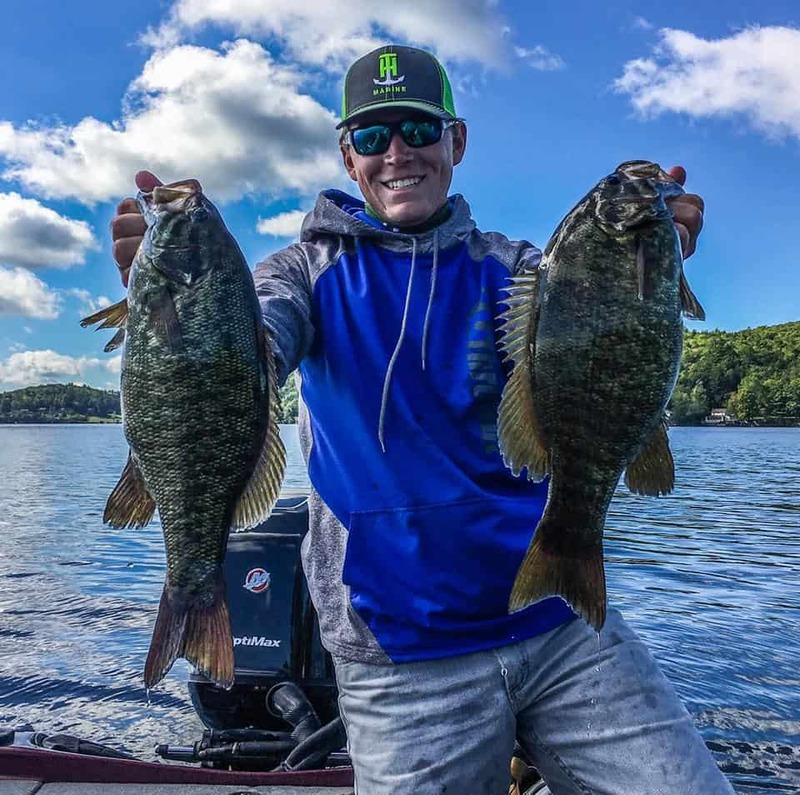 Smallmouth Bass: Lake Fairlee, Lake Morey, Waterbury Reservoir, Wrightsville Reservoir– aggressive, feeding smallmouths can be caught using spinnerbaits, stickbaits, crankbaits and top-water plugs. Smallies can also be caught with finesse presentations such as drop-shotting plastics or dragging jigs on the bottom. Brook Trout: The Central Vermont area features countless tributaries above 1,000 feet in elevation which are home to healthy populations of vibrantly-colored native brook trout that can be a blast to pursue and delicious on the table for those who wish to keep them. Rainbow Trout: White River – fish with spinners, flies or bait in deep pools and slow moving riffles. Vermont angler Jody White recently cashed in on the hot fall bite with a pair of chunky smallmouth bass.